The dangers of distracted driving are obvious and well proven. Texting, in particular, is a major problem in traffic safety. 78% of teens and young adults say they have read an SMS message while driving. Individuals who drive while sending or reading text messages are 23 percent more likely to be involved in a car crash than other drivers. Screen time in general is also proving to be an issue. Emerging studies suggest that internet addiction is real and associated with structural and functional changes in brain regions involving emotional processing, executive attention, decision making, and cognitive control. 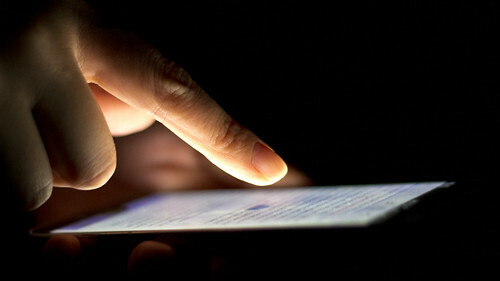 Even “non-addicted” device use is drawing attention. There is evidence that there is risk of screen time is creating subtle damage even in children with regular exposure. Of course “regular exposure” means that the average child uses a screen more than seven hours a day. Screen time, along with general information overload, lack of witnessing of consequential behavior, and dearth of role models seem to contribute to a decline in empathetic feelings and behavior among young people, and lead to decreased emotional intelligence. “Tuning out” and ignoring other humans’ distress, in person and online, is a disturbing trend that could lead to many societal issues. Cyberbullying is another issue that has been in the news. This is bullying that takes place using electronic technology such as cell phones, computers, and tablets as well as communication tools including social media sites, text messages, chat, and websites. Studies indicate that 9% of students in grades 6–12, and 15% of high school students, experienced cyberbullying. Kids who are cyberbullied are more likely to use alcohol and drugs, receive poor grades, have more health problems and more. What can we do? First, be a role model. As an parent or educator, it’s important to examine and modify one’s behavior — often as adults we need to address our own screen addiction. Emphasis on family time is key for a socialized, empathic child. Setting boundries around screen time — homework-related as well as recreational — should be set and kept. Being aware of your kid’s online activities is encouraged. Is there an upside to texting and screen culture? Find out more in the next blog post.